Whether you prefer dogs or cats, most pet owners consider their furry live-in a family member. Peoples’ passion for their pets is a part of their identity, which makes it easy for them to bond with other fur moms and dads. 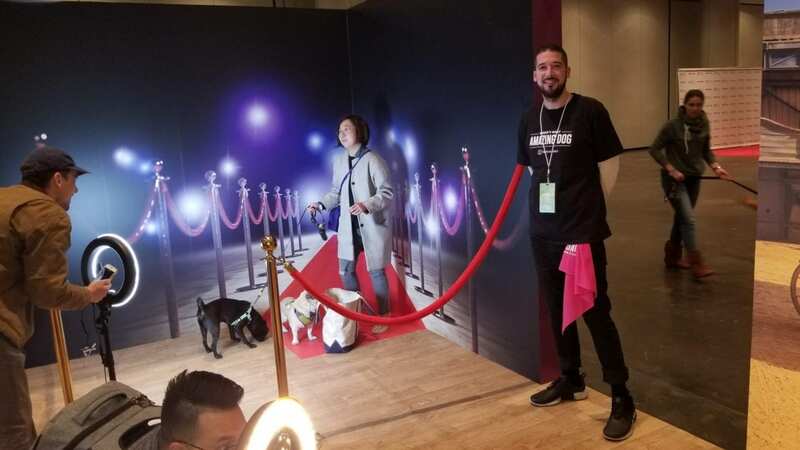 In fact, there are events that are designed to cater to the pet owner community, such as PetCon. 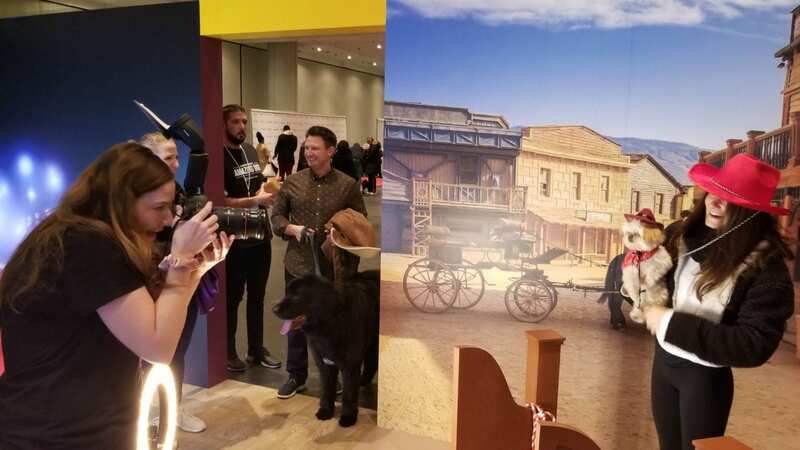 This year, in New York city, pet owners and animal lovers alike had the opportunity to discover new pet-related brands, play with adoptable cats and dogs, and meet celebrity pets. 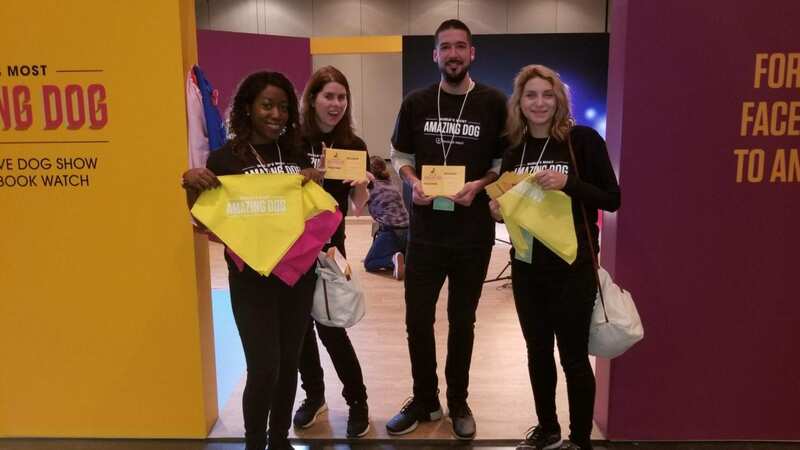 This year, Elevate Staffing had the opportunity to be present at PetCon to help dog owners create contest submissions for the World’s Most Amazing Dog show. 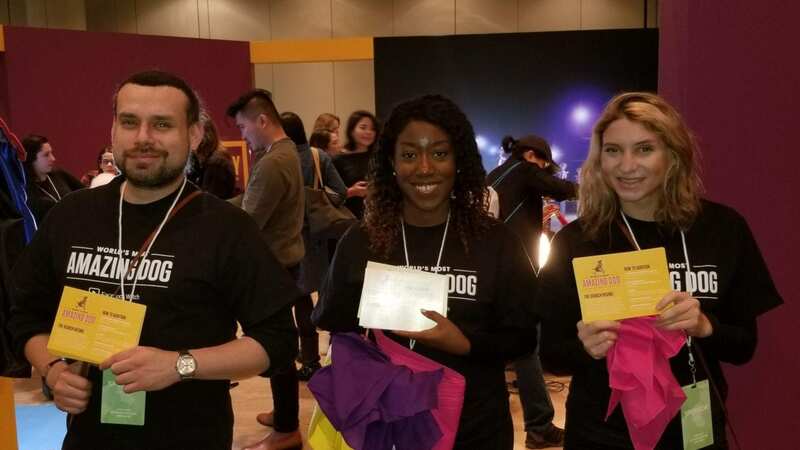 A team of 5 brand ambassadors and 1 team lead helped encourage PetCon attendees to submit an audition video via their Facebook profiles.